Fort Wayne Astronomical society is a non-profit organization incorporated in 1959. We support amateur observing and public education in Astronomy and related sciences. 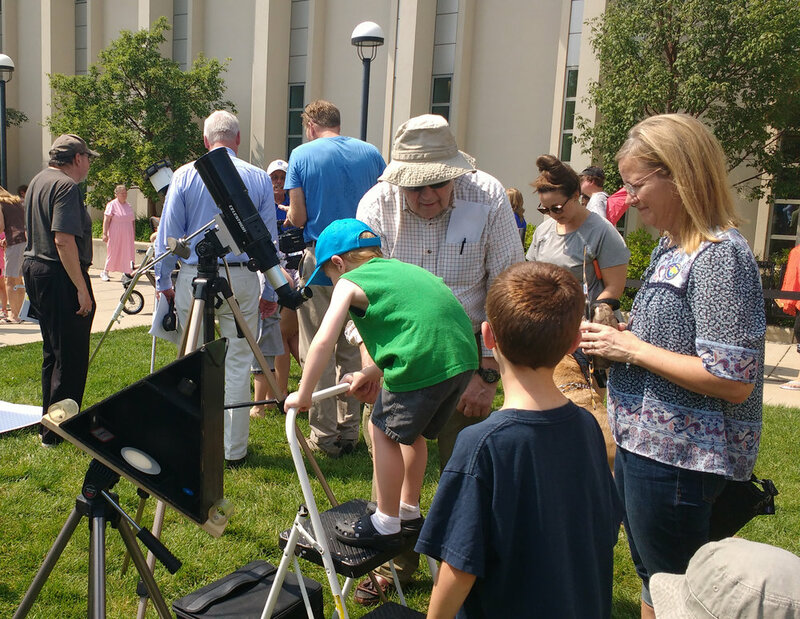 During the 2017 total solar eclipse, FWAS volunteers shared their expertise and telescopes with the public at the downtown ACPL library. Public stargazing on clear Saturdays, April-November. The "MOO" group is a group of local astrophotographers that share tips and tricks and challenge each other to capture objects visible in our local night sky.